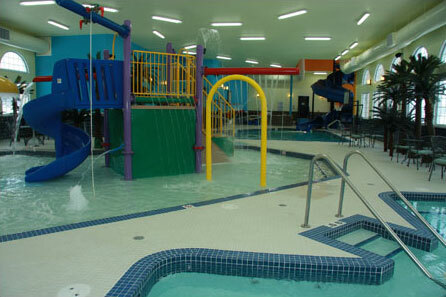 The BEST WESTERN PLUS Mirage Hotel & Resort boasts the largest indoor water park north of Edmonton. At 4 times the size of the average hotel pool, our 8, 500 sq. ft. water park and aquatic centre features a massive waterslide, 15-person hot tub, children’s water playground, basketball nets and more. Large, bright windows offer plenty of natural light while decorative palm trees give a tropical ambience that will make you forget all about the cold weather outside. Whether you’re zipping down the waterslide, shooting hoops on the adjustable aquatic basketball nets, or watching the kids frolic in the kiddie pool, our extensive aquatic centre offers countless options for fun and exercise. The water park at the BEST WESTERN PLUS Mirage Hotel & Resort is the perfect place to host a super fun birthday party, or kid’s day trip. Contact us at (780) 821-1000 to discuss group bookings or to reserve a private party room.